They say green is the color of success. I'm not sure that's entirely true but I do have a lot to be thankful for today. Samba applied like a dream. I'm wearing it layered but it was definitely more opaque than Fox Trot, enough to be worn on its own. I love how the flakies are all so different from each other, little tiny ones but also big chunks. Isn't it pure green perfection? Again, I have to thank my lovely brazilian nail polish fairy for the gorgeous polish, thank you sweetie! Mmmm I love Samba too! Well congratulations on work:-) And the color is amazing, I love green! 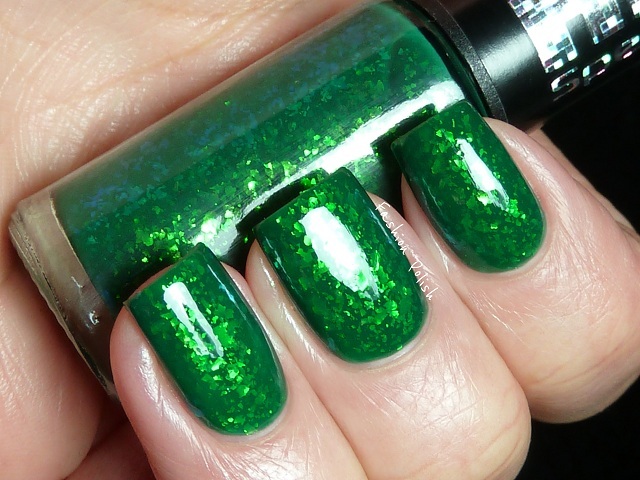 Oh my word, this is the most awesome green flakie I have ever seen! Whoa!! That's gorgeous! I love the colour and all the pretty flakies! I'm in love. 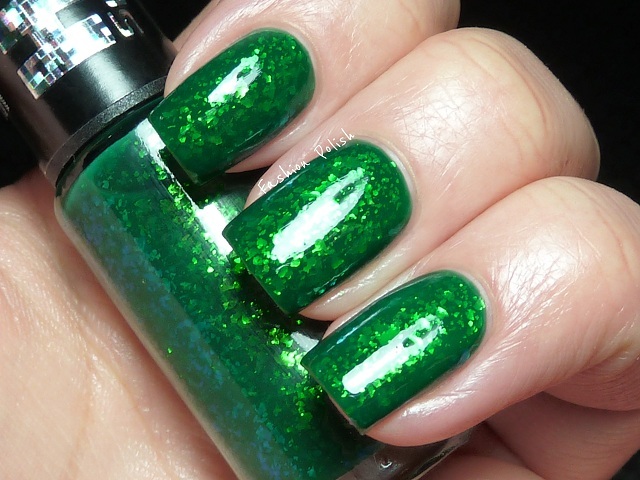 <3 What a beautiful polish. ¡Qué verde más chulo! Me encanta el aspecto que le dan los sparkles. I think I just stopped breathing! This one is so pretty! So hard to get for me here, so far away, but I´m gonna try, til I get it! Stunning! Oh my, this is crazy beautiful! This is beautiful! I love the different flakies too! oh, man, this screams St. Patrick's Day! gorgeous! 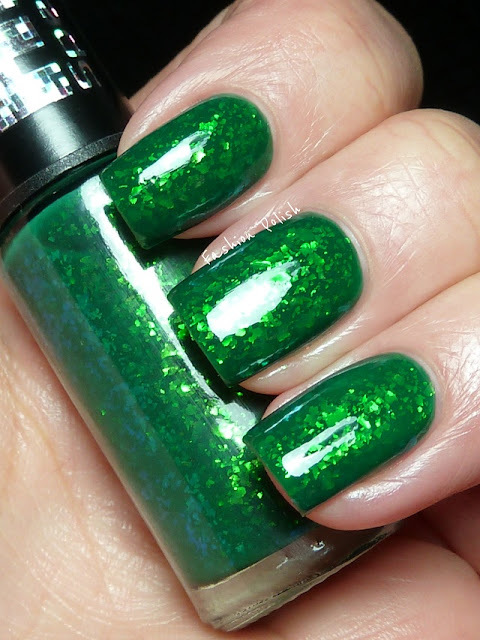 I am longing and begging and PLEADING for a brazilian nail polish fairy!!! Soooo....if any brazilian wants to develop a lasting friendship with a Iowan for the U.S.......I'm ready and willing to make a new lifelong friend!!! What a pretty green that is!